What do you think? I absolutely love it and I think it goes so well with the Fearsome Dreamer cover - I can't wait to have these two books sitting side by side on my bookshelves! Just look at them next to each other, aren't they fab!? Having left White behind her in Angle Tar, Rue is trying to make sense of her new and unfamiliar life in World. Its culture is as baffling as is it thrilling to her, and Rue quickly realises World's fascination with technology can have intoxicating and deadly consequences. She is also desperately lonely. And so is White. Somehow, their longing for each other is crossing into their dreams, dreams that begin to take increasingly strange turns as they appear to give Rue echoes of the future. Then the dreams reveal the advent of something truly monstrous, and with it the realisation that Rue and White will be instrumental in bringing about the most incredible and devastating change in both World and Angle Tar. But in a world where Life is a virtual reality, where friends can become enemies overnight and where dreams, the future, and the past are somehow merging together, their greatest challenge of all may be to survive. Yes, I'm dying to get my hands on this one! If you've not come across this series before it has a strong historical feel to it but at the same time it is full of futuristic technology and Laure Eve has expertly blended the two elements together to create something that is totally unique. You can read my review of Fearsome Dreamer HERE if you've not read it yet. 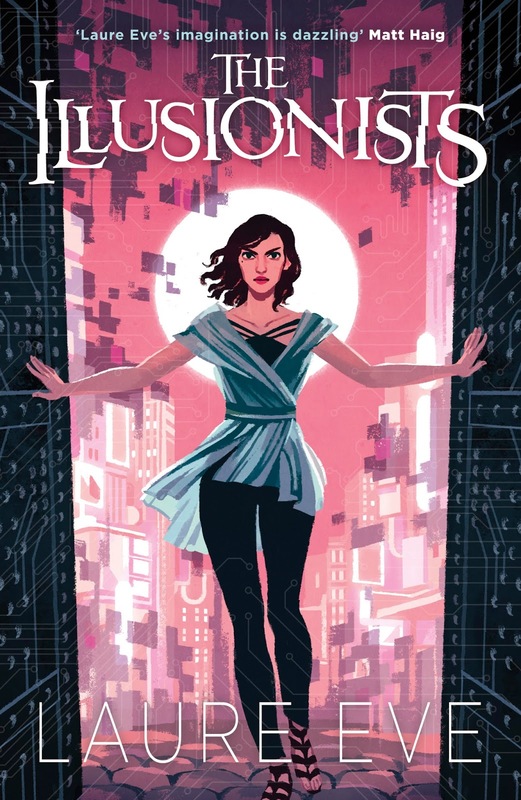 The Illusionists isn't published until July so you have plenty of time to grab a copy of the first book and catch up and I really think you should have both of these books at the top of your wishlist!